We all know the efforts of our new Prime Minister Imran Khan. From cricket to politics, he has been a true example for every youngster. His efforts make him successful in every field. Let’s discuss about his whole journey and inspirational lifestyle. Imran Khan Biography, Imran Khan Wife and his Captin to Prime Minister life. Prime Minister Imran Khan full name Imran Ahmad Khan Niazi was born on 5th October 1952 in a Pashtun Family, Lahore. Khan get education from famous Aitchison, Worcester and then from Keble College Oxford. Imran Khan was truly a cricket lover and philanthropist as well. He started playing at the age of 13. In the beginning he played for his college and later on for Worcestershire Cricket Club. Khan is only son of Ikramullah, a civil engineer and his late wife Shaukat Khanum. Shaukat Khanum mother of Imran Khan died due to cancer. Today we all know Imran Khan is running Shaukat Khanum Memorial Cancer Hospital in memory of his beloved mother. This organization is providing free services to cancer aids. Imran Khan grew up with his four sisters Uzma Khanum. Aleema Khanum, Rubina Khanum and Rani Khanum in middle class group circumstances. After retirement from cricket Imran Khan joined politics in 1996 for the sake of his country. And today he will serve this country as a Prime Minister Imran Khan. that was the Imran khan biography now, lets discuss about his age. Imran Khan is a man of age 65 years old. He is still so fit and fine to look after everything in a very proper way. Despite his this age number he didn’t lose hope and remain determined to his duty of achieving this seat of Prime Minister. Well this is a very famous issue of Khan’s life discuss by every individual. Imran Khan got married with famous Goldsmith’s daughter Jemima Goldsmith in 1995. This marriage didn’t last longer. In 2004 Khan and Jemima apart their ways. Prime Minister Imran Khan has two sons from Jemima. Later on in 2015 after a huge time Imran Khan tied knot with Reham Khan. Sadly they both had some differences and got divorced in same year. As of now Prime Minister Imran Khan is now married to Bushra Manika who is also known to be as spiritual advisor of him. Imran Khan Wife Bushra Manika is now with him. We hope their relation now last longer and forever. Imran Khan wife will be the first lady of Pakistan. Imran Khan made his first debut at the age of 16 in cricket field in Lahore. In the start he was playing for his college home teams of Lahore. Then he made his debut against England in 1971 Edgbston. The journey remained continue and after three years once again he made debut in ODI, again playing against England. Khan was a fast bowler too. He reached the peak of his powers in 1982. When at the age of 30 he took the captaincy charge of Pakistan Team from Javed Miandad. As a captain Khan played 48 Test Matches out of which 4 were won by Pakistan, 8 lost remaining were drawn. What a success rate he got! He also played 139 ODI’s as well. Prime Minister Imran Khan Captaincy took a great lead when he won the Cricket World Cup in 1992. Imran khan also took his last winning wicket himself. In 1994 the time of his retirement, Imran Khan himself admitted about scratching the side of the ball in one of his match. But in 1996 Khan proved himself and got free from such case. Despite of this fact Imran Khan’s captaincy hold the world record for taking most wickets, best bowling strike rate, best bowling average in Test and more. 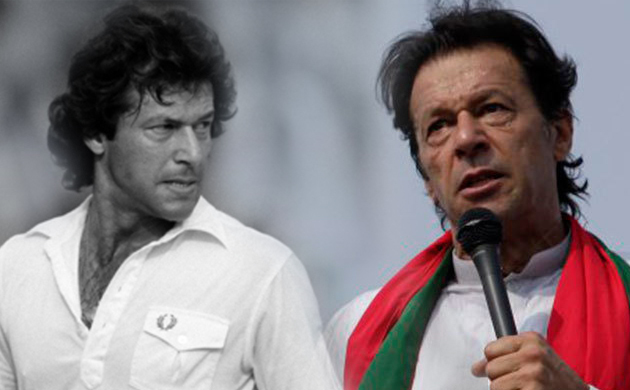 After his retirement from cricket world Imran Khan found a political party ‘Pakistan Tehreek-e-Insaf’ PTI in 1996. Unfortunately Imran Khan lost his first 2 seat of National Assembly against PMLN party in 1997. But he didn’t lose hope. 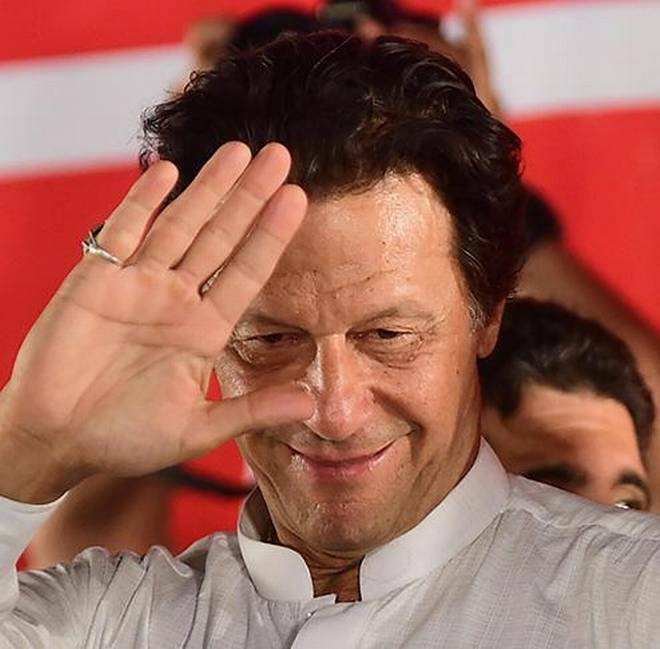 Later on he tried again and in 2002 Pakistan General Elections, Imran Khan was elected from Mianwali. After the elections of 2007 Khan didn’t get success. The huge change occurs when in 2011, October 30 Imran Khan addressed more than 100,000 supporters in Lahore. Since then Imran Khan became the real thread for all the opposition parties. 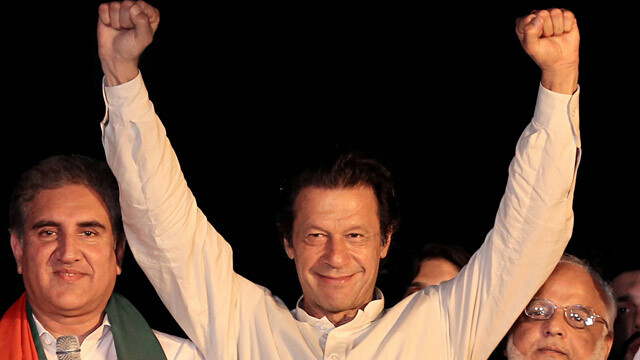 In Pakistan General Elections 2013 Imran Khan gave a new hope to the country by giving resolution of NAYA PAKISTAN. And now after waiting for 22 years Imran Khan is finally Prime Minister Imran Khan in 2018. This is a real and true journey of Imran Khan from captaincy to becoming Prime Minister. He has been through tough times to achieve this success. From gathering thousands of people and addressing them every month is a great deal! We hope than Prime Minister Imran Khan will surely make NAYA PAKISTAN by all his mean efforts. Deikhoo team is proud of their Prime Minister Imran Khan.